There is not one mind to stand with the trees, one life with the mountains. dimming, like tin portraits bronzed with fingerprint oils. heavy as the workshop scent, and silence of fathers. was wrung for the blood of new beginnings. with the absence of innocence, ease of its loss. I asked all that is in it; they made the same confession. our reflection           etched like death      in everything. punch cards and hard hats drop in heavy hands. or made names in pages—as easily burned or forgotten. an Attic Black urn. The sepulchers fill with seawater. of lead, brass and ritual steel. razing light to silken steam. parched the country, the cities, the seas. atop the suffering of immigrant millions. slicing at the starless sky while the mud-ash of millions filled our mouths. pale eyes of dulling gold, dimming into tomb-light. the reflection of rain upon walls, rippling. CM Downes has traveled the high and low places of the world, learning, writing, and teaching. He resides in a humble cabin that he and his wife built and share with their little red dog, Turkey. Downes received the Allegheny Review’s 2013 Poem of the Year (chosen by Sarah Arvio) and a Reynolds Award from Nota Bene (2011). 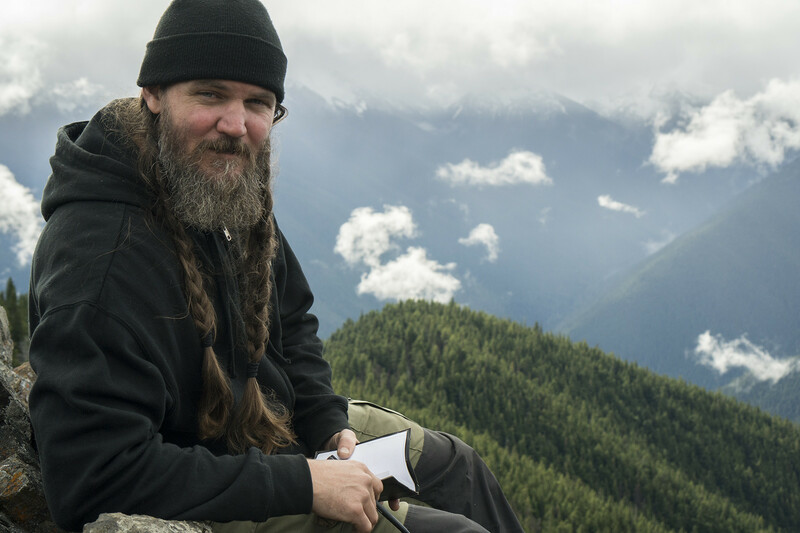 He earned an MFA in Poetry from Seattle Pacific University, and he is a regular feature in the Pacific Northwest.